Keep track of your employee’s expenses with Rydoo: an elegant solution to travel and expense management. Working in retail is already stressful and complicated enough without having to take time out to process expenses and receipts. At Rydoo, we make expense management easier, leaving your team free to spend their time doing what they do best. 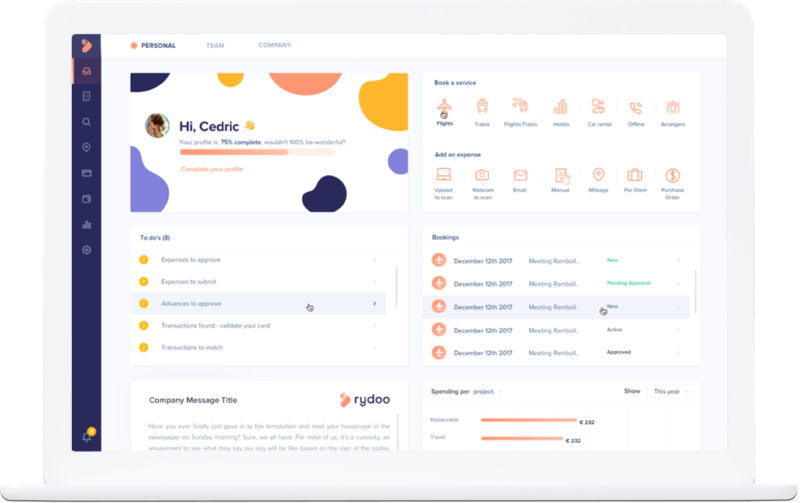 Automate your expense process with Rydoo, implement existing company compliance protocols and organise your team in a way that reflects your current company hierarchy. Approval chains become seamless and transparent. We keep track of uploaded receipts and we make sure they follow your rules. With our intuitive app, employees can quickly upload and approve receipts, without needing to sit down for hours filling out expense reports. To discover how Rydoo can help your business drop us a line or find out for yourself with our 14-day free trial. Take back control of your expenses with our activity overview centre. There you can review your timestamped and processed past receipts, along with the status of current expenses pending approval. Let’s keep it simple: if you know there’s regular expenses from business travellers, why not automate it? Rydoo supports approval flows on a user level, group level or project level. Use the app to take back control of your current approval flow. We offer real-time support both in the mobile and web app via our integrated chat. Our customer success team will guide users through Rydoo and help out where needed, taking the slack off your very busy tech team on installation day. All expenses on the go, automated policy checks and paperless - all fully integrated with your ERP. Let’s you get down to business. Your trip booked in seconds, instant policies overview and it’s all paid for you thanks to our central billing. Why did you decide to go with Xpenditure in the beginning? "Expense submission was becoming a laborious function, often resulting in late claims as a result, we needed a solution to make claims quicker and to ensure cut off dates were achieved." How does Xpenditure make your life easier? "Once the setup has been completed, it makes the matching of claims to the correct coding within our accounts package more accurate. No more late claims." What was the overall impact on the organisation? "The ROI was quick, my team now have more time to focus on selling rather than completing lengthy paper claims."